It has never been easier to save with Bulwer vacation packages on Expedia. You'll have loads more time to sort out your exciting experiences — and more cash to splash! There's no need for you to search through different websites for your travel bookings. With more than 400 partner airlines and 321,000 properties around the world, our global database has it all. Itinerary looking a little empty? Bulwer vacation all organized but unsure what's on the cards when you arrive there? Let us make it easy. From fish and crabs to worms and snails, learn about what's living in Blue Lagoon. These shallow waters provide an optimal environment for a rich range of native species. Travelers have a great range of options in and around this destination. Are you looking for a way to reduce the stresses of your busy life? 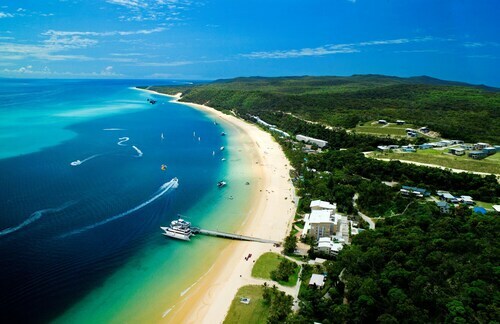 Drink in the fresh air as you take off on an adventure through Moreton Island National Park. Still got some time to spare? Fort Cowan Cowan guarded its surrounds from attackers for countless years. Plan a visit to this time-worn structure and learn about its place in history. Expedia presently features no property listings for Bulwer. However, you'll discover a few places to stay in Woorim, which is 12 miles (19 km) away. 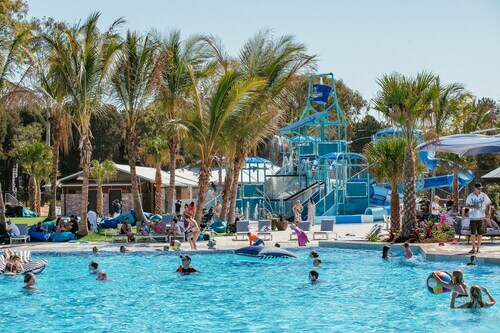 The On the Beach Resort Bribie Island, On the Bay Apartments, Sylvan Beach Resort, Avon Lodge Bribie Island, Fairways Golf & Beach Retreat, Bribie Waterways Motel and Bribie Island Hotel are among the best options in Woorim. Just 25 miles (40 km) away, Brisbane Airport (BNE) is the nearest terminal to your destination. Buckle up that seat belt and turn off that in-flight film — your well-deserved trip to Bulwer is about to start! 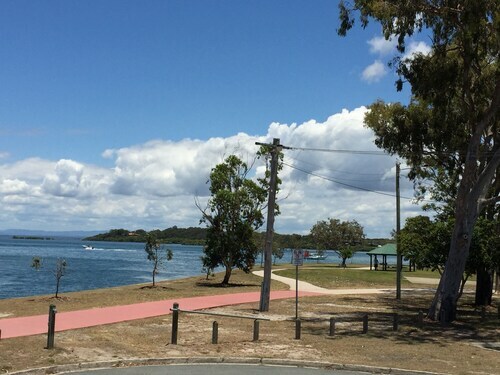 Offering direct access to the beach, this Bulwer campground is in a national park, 0.4 mi (0.7 km) from Moreton Bay, and within 9 mi (15 km) of Moreton Island National Park and Blue Lagoon. Moreton Island Lighthouse is 8.9 mi (14.3 km) away. Located in Brisbane Waterfront, this vacation home is 0.3 mi (0.5 km) from Moreton Bay and within 9 mi (15 km) of Blue Lagoon and Honeymoon bay. Moreton Island Lighthouse is 8.9 mi (14.3 km) away. Located in Brisbane Waterfront, this luxury apartment building is steps from Settlement Cove Lagoon, Sutton's Beach, and Bluewater Square. Bee Gees Way and Redcliffe Museum are also within 10 minutes. Nestled on the beach, this Brisbane Waterfront resort is within 2 mi (3 km) of Tangalooma Wrecks and Moreton Island Sand Dune. Mount Tempest and Fort Cowan Cowan are also within 6 mi (10 km). Situated on the boardwalk, this motel is within 32 mi (52 km) of Glasshouse Mountains National Park, Redcliffe Jetty Markets, and Sutton's Beach. Scarborough Marina and Strathpine Centre are also within 32 mi (52 km). 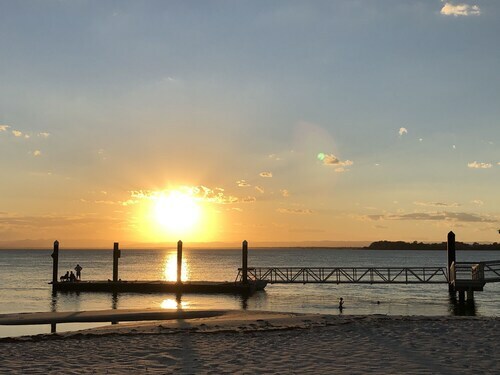 Nestled on the beach, this Brisbane Waterfront holiday park is within 32 mi (52 km) of Glasshouse Mountains National Park, Sutton's Beach, and Shorncliffe Beach. Scarborough Marina and Redcliffe Jetty Markets are also within 32 mi (52 km). 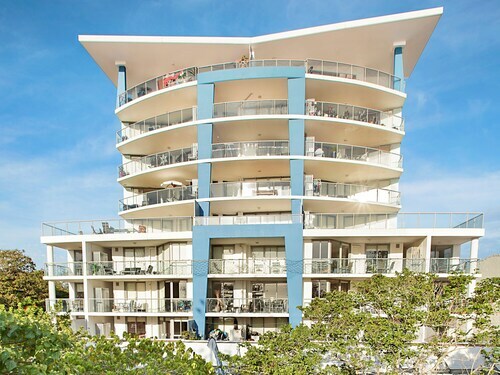 Nestled on the beach, this Brisbane Waterfront apartment building is within 3 mi (5 km) of Scarborough Marina, Sutton's Beach, and Settlement Cove Lagoon. Moreton Bay and Redcliffe Botanic Gardens are also within 3 mi (5 km).